Business Opportunity Property. 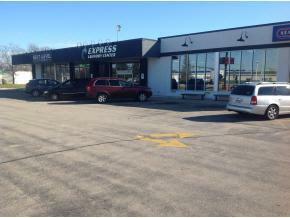 Active leases with 2 operating business. The west suite is leaded to Express Laundry & Dry Cleaning Service renting 5160 SF and Next Level Fitness Center renting 3290 SF on east suite. The cap rate is 7.1%. High visibility location with 25,000 traffic flow. Located near shopping center with Target as the anchor.